Some pretty big news in terms of comics standing in the art world: the French Daniel Maghen Gallery, one of the most prestigious comics art galleries in the world, has teamed up Christie's, the world renowned auction house, to present an astonishing collection of original comics art and illustration to go up for sale. What makes this partnership unique and rather unprecedented is the sheer caliber of the pieces going under the hammer all at once, with work by Moebius, Jacques Tardi, Enki Bilal, Frank Frazetta, Osamu Tezuka, Albert Uderzo, Mike Mignola, Will Esiner, Milo Manara, Peyo, André Franquin, Jean-Pierre Gibrat and many, many more. 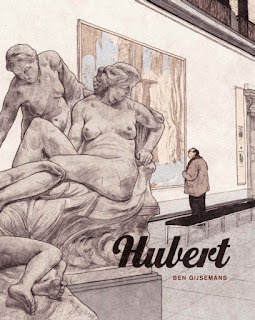 It's interesting to see the value of comics work presented like this, as original art, alongside other works of art, because comics have traditionally struggled to be considered as literature in the US and UK, but the illustrative side seems to be gradually gaining traction and acceptance in the art world, as original pieces garner huge sums of money, and this partnership of two hugely respected establishments serves to underline that validation, to some extent. Below you can find a roughly translated version of the Maghen/Christie press release, as well as some of the pieces going under auction. I'd highly recommend going to visit the Maghen page itself, where they have a gallery of large scans of selected work. 'Going once, going twice… sold! Christie’s, the world renowned auction house, and Daniel Maghen Gallery, Europe’s premier sequential art gallery, have undertaken a historical partnership to present the first original comics art auction of an unprecedented scale, a prestigious event which will further consolidate the place of comics art in the global art market. 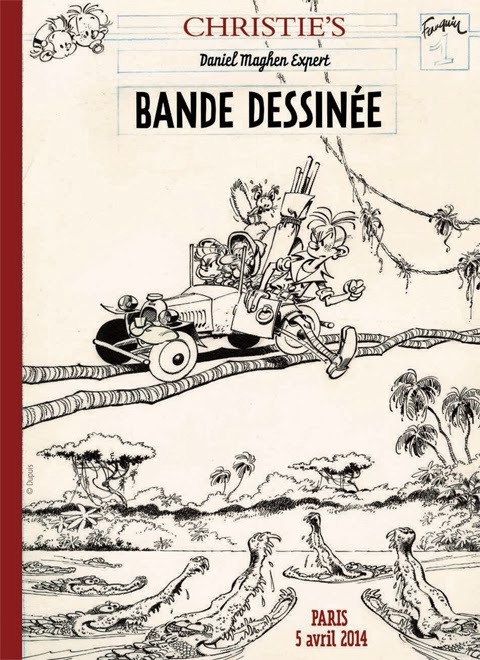 Over 200 original pieces from a world-wide selection of iconic comics and illustration artists will be available, including the cover art from Albert Uderzo’s Asterix and the Soothsayer as well as the one from Franquin's Spirou and Fantasio: L’héritage. This finely curated selection includes historic artists (Franquin, Peyo, Jacobs, Will), classics (Pratt, Moebius, Tardi, Bilal, Gibrat), new talents (Mallié, Brüno, Vallée, Boiscommun) and illustrators (Lacombe, Graffet, Brizzi).